Chickpeas, also known as Chholey in North India and Garbanzo beans here in the US, is one of my favorite legumes. Indians prepare it in a spicy, tangy curry, using spices such as dried mango, cinnamon and bay leaves. I recall first savoring it at a family dinner, with abnormally large poori’s or fried Indian flatbread. 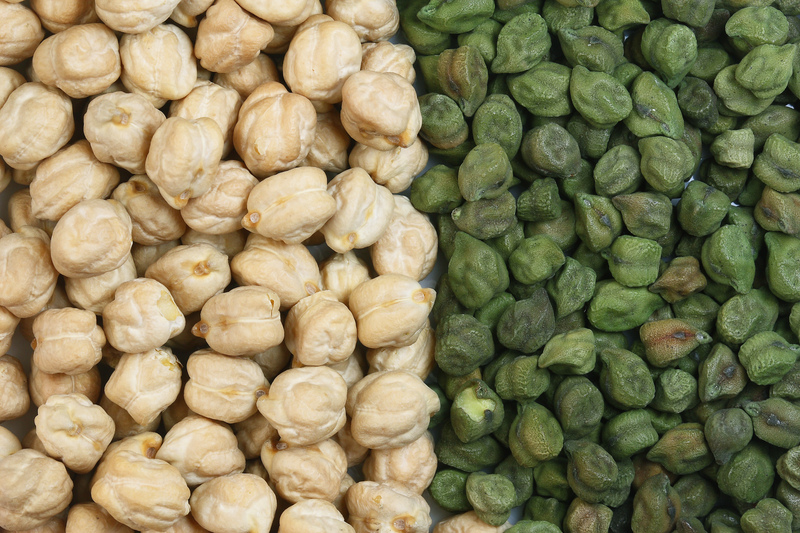 As you may know, chickpeas are available in 2 varieties – white & green. In India, you’ll commonly find both varieties being used in traditional home cooking. The white variety is made into Chholey puri – chickpea curry with fried Indian flatbread – a famous inclusion in most Indian restaurants and interestingly, also a favorite breakfast dish amongst North-Indians. 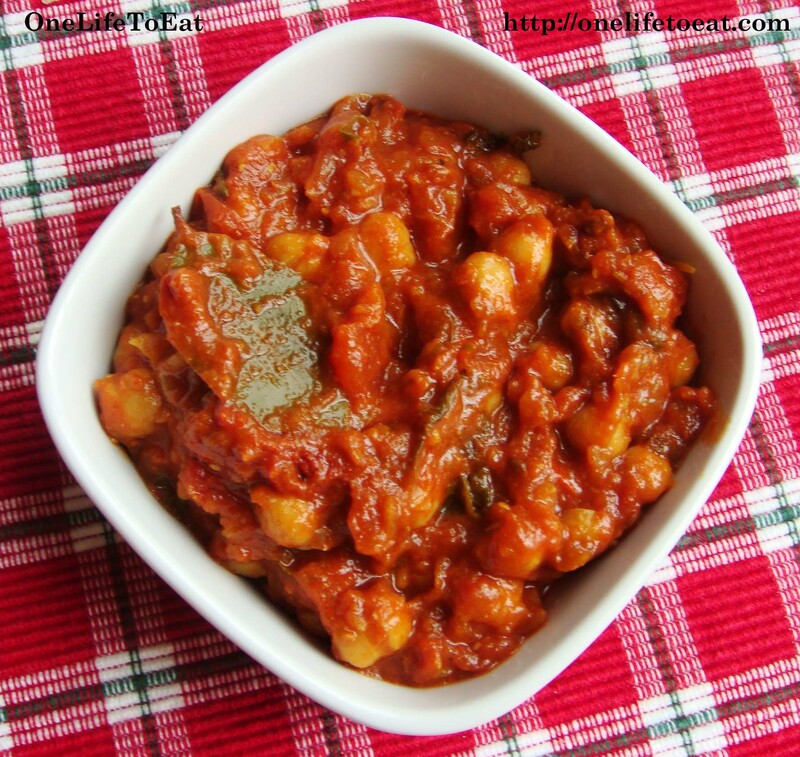 There’s something about chickpeas that I’ve always found very comforting. They really hold their shape during the cooking process, making them firm on the outside, and mushy when you bite into them. Perfect when had on a cold winter evening, I find it equally enjoyable in the pleasant Minnesotan summer. 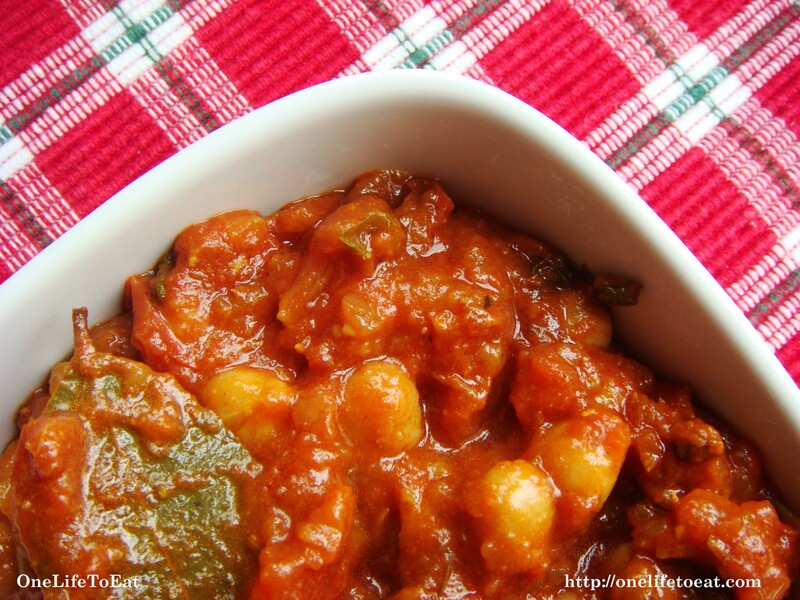 Note: you may also use cooked, canned Garbanzo beans. Follow the recipe as below. Finally add the raw soaked chickpeas or the cooked, drained garbanzo beans. Garnish with chopped coriander leaves & lemon juice. Enjoy with your favorite Indian bread. 🙂 It’s always easy to cook out of can. And I totally get what you’re saying – some days I just don’t want to enter the kitchen! !